During our Round Table Conversation at Business for Business Nanaimo North this week, we discussed the importance of quality customer service, and building customer relations. How do you define customer service for your business? Do you have a system and skilled people in place to provide quality service? Do you treat your customers like you would like to be treated? What are some of the key elements of quality Customer Service that are important to your clients? If you want to be proactive I suggest that you talk with your present customers who continually buy your products and/or services, and ask them what are their expectations and why do they continually buy from you. Why guess – go directly to them and ask pertinent questions for their honest feedback. What are some of the characteristics of quality customer service? Promptness: Answer promptly and deliver promptly. Under promise and over perform. Listening: Customers need to feel that you have listened to them and heard their needs. Even if you cannot solve their problem they have been heard. Patience: when dealing with their problems take the time to ask questions and ensure that they agree with your interpretation of their needs. Provide competent service instead of rushed service. Politeness: Saying ‘hello,’ ‘good afternoon,’ and ‘thank you very much’ are a part of good customer service. For any business, using good manners is appropriate whether the customer makes a purchase or not. Product knowledge: Know your products/and or services in depth. Then you can best help solve your customer’s problems. Be positive: Your tone and words need to convey positive actions. Statements like “I can’t or I will not” are negative in nature and reduce confidence in you resolving their issues. “I can or I will” convey positive actions and reduce customer anxiety. Professionalism: Training your staff in quality customer care skills and monitoring their progress will ensure a level of professionalism. Professionalism shows the customer they’re cared for. Personalization: using the customer’s name provides recognition and a personal touch. Customers feel that you are focusing on them and their needs. 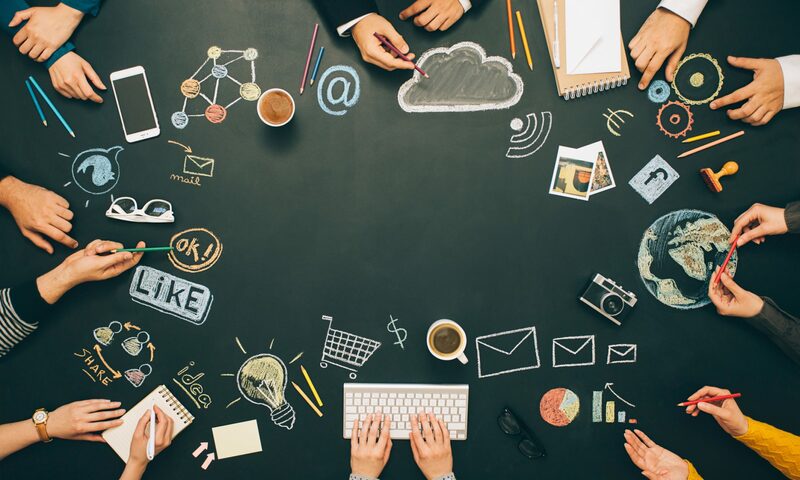 Social media can be a great way to expand your business but it can also be a curse. In today’s internet world of Facebook, Twitter, Pinterest, etc. you want to ensure that you have more positive reviews than negative reviews. Since this is a critical area these days I suggest that you contract or hire the experts who live and breathe in this part of the world. People are people and you do not know what side of the bed they got up on that day. They could have a valid reason for a complaint and you need to hear it, recognize it and verify it clearly with them. Having a skilled customer service rep on top of it every day is critical in controlling a positive image and showing your ideal customers that you take action. You may have heard of the Pareto principle (also known as the 80/20 rule) that states that, for many events, roughly 80% of the effects come from 20% of the causes. In business, roughly 80% of your business comes from 20% of your customers. In your social media relationships, you want more than 80% positives and less than 20% negatives. Even when people read negative comments about your company, your ideal customers need to see that you are actively trying to resolve problems that really do apply to your company’s products and /or services. Also keep in mind that there are good customers and bad customers. Drop your bad customers (or send them to your competition) and attract more good customers with your words and actions. Positive actions retain and attract customers and negative actions or inaction cause customers and potential customers to leave. Happy customers are your future! Take care of them to ensure future growth. How ‘Authentic’ is Your Made in Canada Corporate Gift? You’ve been tasked with buying a gift for a visiting executive, your event keynote speaker, or maybe a foreign dignitary. Your goal is to find an item that portrays quality, represent Canada’s uniqueness and culture, and reflects your corporate values. But where do you start? To buy your precious gift, you are not likely going to the local tourist shop to buy some tea towels with images of loons and beavers. You need to find a reputable dealer who is well connected to original and genuine Canadian-made gifts. They can help you through the myriad of authentic versus knock-off items that can result in a misguided purchase. Here are a few things you need to consider; is it really Made in Canada? There are government rules and guidelines around professing that a product is Made in Canada, but they are not always apparent when it comes to labeling. For example, an item might be designed in Canada but actually made in India or China. Or, a base object has been brought in from offshore and painted or altered in Canada. The details are not always visible, so be sure to ask your product source for what they know, or what they can find out. Labels might say ‘Made in Canada’ from domestic and imported ingredients”, if a BC food processor used fruit and vegetables from The Okanagan and cane sugar from the Caribbean. The chutney could qualify for this designation if, for example, they used fruit and vegetable ingredients from the Okanagan and Manitoba beet sugar. The ingredients, processor, and assembly is all in Canada. Made in Canada or Canadiana? More and more companies are using Canadian Made gifts when promoting their businesses. The quality of them are far superior, with high perceived value. The recipient feels more appreciated and valued. These gifts are an important part of building a business network, especially internationally. But are you giving a Made in Canada gift or just something depicting Canadiana? Your local tourist shops are full of Canadiana, products showing icons of our culture. The Mountie t-shirt, or moose coffee mug. Maple leaf pens and candies. And replicas of First Nations art on a keychain. The shop inventory will be 95% made offshore. Some shops will have serious, authentic First Nations art, but the shop worker won’t know if it’s truly Made in Canada, or only partially so. Most authentic First Nations art comes with an enclosed information sheet or card with a bio of the artist, and description of the piece. However, there are still some things to be aware of. 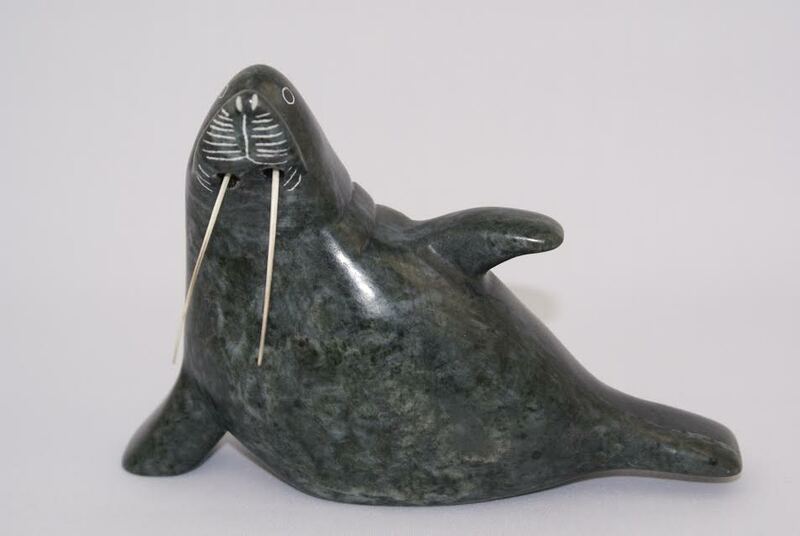 Soapstone carvings are absolutely an iconic First Nations art form. Genuine native carvers put an arctic igloo icon on each piece to show that the artist is First Nations. But, there are also great soap stone carvers who are well known but are not native. If that is important to you, look for that native logo. Someone like artist Sue Coleman paints watercolours with native symbols in them. She is not First Nations but incorporates traditional designs, and is famous for it. Other examples show bowls made offshore but hand painted here, and purses made in Indonesia but the native design is applied here. The price point will also tell you if it’s genuine or not. Genuine First Nations art works will have a higher price tag than a knock-off Canadiana item. How Do You Find the Truth? Find a reputable dealer! They will source genuine high quality products. You need someone who has studied the laws, rules and guidelines; someone who knows how to get the answers to ensure authenticity, or at least what the supply chain sources are. To many people that is extremely important. A reputable dealer will have extensive experience and deals with government, universities, and corporations. Ask for references or to see testimonials. If they are a member of your business network, they can answer those questions in person. Your gift requirements may also extend to employee recognition, very important clients, or key people in your referral network. By presenting them with a quality, authentic Canadian made gift shows that you care and respect them. Your good will is appreciated and often talked about with their peers, family and friends, when they receive a special gift! Many BC homeowners have questions about how and when you can defer your property taxes If you are a home owner in British Columbia your property tax notice provides information including how much your property taxes are, when they are due, and how you can claim a home owner grant. In 2017, the due date for property taxes is July 4. If you fail to pay your taxes by that date, a 5.0% minimum penalty is levied on any amount outstanding. It should also be noted that some municipalities have increased the penalty. For example, the penalty is 10% in the City of Victoria. If you qualify and your property meets certain eligibility requirements, you may be able to defer your property taxes. If you choose to defer the taxes, a lien is registered against the title to your property which will remain on title until the amount owing is paid in full. A $60 fee is also charged for the deferral and interest will be charged on the deferred amount. The interest rates are set every six months by the Minister of Finance. There are two deferral programs: (1) the regular program and (2) the program for families with children. There are also several other requirements, including but not limited to the following: you must be a Canadian Citizen or permanent resident; you must be a registered owner of the property; you must have and maintain a minimum equity of 25% of the property’s assessed value; and you must have paid all previous year’s property taxes, utility user fees, penalties and interest, if any. Your property may not qualify for the program in certain circumstances. For instance, your property doesn’t qualify for tax deferment if it’s a second residence such as a summer home or rental home or if you pay the property taxes for the residence to a First Nation. financially supporting a child or stepchild. There are also several other requirements, including but not limited to the following: you must be a Canadian citizen or permanent resident; you must be a registered owner of the property; you must have and maintain a minimum equity of 15% of the property’s assessed value; and you must have paid all previous years’ property taxes, utility user fees, penalties and interest. The same qualifications for the property apply to this program as do for the regular program set out previously. It can take up to several months for the tax deferment applications to be processed. You may not get a response until after the property tax due date. If the application is received before the property tax due date but is approved after the due date, you may not be charged a late payment penalty. if you cancel or withdraw your application for any reason at any time before the taxes are paid. Always see a qualified lawyer or accountant when making decisions about deferring your property taxes. The professionals who are members of Business for Business Networks are part of a trusted community. A common question lawyers are frequently asked is, “what is probate?” When someone passes away in British Columbia, typically the deceased’s sole assets (i.e. bank accounts and property) cannot be dealt with until the deceased’s personal representative (i.e. the executor if there is a will and the administrator if there is no will) applies to the court for a Grant of Probate. A Grant of Probate is essentially a certificate issued by the court that certifies that the deceased’s will is valid. Financial institutions and the Land Title Office generally require that the executor produce a Grant of Probate, prior to allowing the executor to deal with the deceased’s assets. An affidavit stating that the beneficiaries have been made aware of the probate application. Applying for a clearance certificate from CRA. If someone passes without a will, the process described may still be required (depending on whether the deceased individual had any assets in his or her sole name and the value of such assets); however, rather than applying for a Grant of “Probate,” an interested party would need to apply to a court to (a) be appointed as the “administrator” (as opposed to the “executor”) of the deceased’s estate and (b) to request that the court issue a Grant of “Administration” (as opposed to a Grant of “Probate”). This is a brief summary of one of several steps involved in dealing with a deceased individual’s assets. Lawyers specializing in this work, not only act as legal counsel for executors of estates but we also act as executors for estates. When you think about corporate gifts, what’s the first thing that usually comes to mind? Probably cookie cutter gift baskets at Christmas, right? Traditionally that is the common time to do appreciation gifts. But is that the best time and is your basket really being appreciated and remembered? If that’s when you’re doing your gifting, you are likely not getting the best bang for your buck! With so many corporate gifts being given at Christmas time you can easily get lost in the shuffle. Often gifting companies are also very busy during that time so even if you wanted something less cookie cutter you’d have to pay a premium. So where does that leave you then? Not bothering? Certainly not, there are great options to help you be memorable! To stand out do more personalized gifts for your clients, suppliers, or special connections. This can certainly be a more expensive option, but if you have the budget, it’s the way to go! That said, there are also ways to make it more affordable. If you use the same company for the gifts each time you can make a special arrangement with them with the promise of regular buying, even a contract perhaps. By guaranteeing them regular business they’re more likely to be willing to discuss price discounts. If you’re able to do the personalized gifts the best way to do it is to find out the time the recipient would most appreciate the gift. Gifting to an accountant? Why not some edible treats the last few days of April when they’re the busiest for tax season? Have a florist to gift to? Similar thought can apply to them near Mother’s Day or Valentine’s Day when they’re crazy busy. Find out when they’d appreciate it the most and give them a gift. Not only would it be more appreciated but it would really stand out from the crowd and be remembered. Don’t have the budget for personalized gifts throughout the year? There’s still a great way to stand out and it’s simply to gift at a different time. Perhaps being thankful at thanksgiving or even ringing in spring with a special treat. It can even be something more personal to you, perhaps your company’s anniversary. Pick a date that works for you and your budget. Many companies can be really quiet during December and not have the budget for gifting then, by picking a different time of year you can pick the time you also have a budget for it! Any corporate gifting company would be happy to chat with you about ideas and ways to make your gifts special. So, when you’re thinking corporate gifts next, maybe leave Christmas to just Christmas cards and pick a better time to stand out from the crowd! Bill Morneau, the Minister of Finance, announced changes to insured mortgages on Monday morning that will have a major impact on Canadians. The government’s attempt at cooling a hot housing market as a result of their lack of regulation where foreign buyers are concerned will now penalize Canadians. The changes don’t only make it far more difficult to obtain a Canadian mortgage as a new home owner but it may take away the ability of Canadians to manage the equity in their homes and to access fair competition upon renewal of their Canadian mortgage. Vancouver and Toronto are not the only housing markets to consider. Canada is a big country. Any purchase less than 20% down requires default insurance provided by either CMHC, Genworth or Canada Guarantee. As of October 17, 2016, any buyer with less than 20% down must qualify at the benchmark rate that the Bank of Canada sets (currently 4.64%). Today any buyer who takes a 5 year fixed term can qualify at the contract rate (average of 2.44%). For variable rates and terms less than 5 years, the benchmark rate must be used to qualify. The Canadian mortgage business is made up of a few players – insurers, non-bank lenders (monolines), banks and local credit unions. Monoline lenders currently “blanket” insure their mortgages to mitigate risk and attract investors regardless of the amount of equity in the property. Banks do not have to insure their low ratio mortgages (more than 20% equity). If monoline lenders continue to blanket insure their mortgages, ALL of their borrowers must qualify at 4.64% at a 25 year amortization. Also, the way it currently appears is that refinances or rentals will no longer be insured. That could mean that you can no longer take equity out of your house for a renovation or investment or consolidate that 19% credit card debt that the government continues to ignore. If they are so worried about the Canadian debt load, why are we still paying 19% on credit cards? Why is there no proof of credit or income required to qualify for a credit card?? Another Step Towards Bank Monopoly? WAIT! – if you want to take equity out of your house or debt consolidate, you can still go to a bank if you want! If banks monopolize the Canadian mortgage market going forward, the competition for your business will disappear and the banks will control what you pay. The bank profits continue to soar while the Canadian consumer debt gets higher. Where is the balance? And to top it all off, the biggest players in this decision were not consulted or advised. Insurers, lenders and brokers all found out at the same time Monday morning and are scrambling to figure out what exactly it all means to their business and their clients. We are still waiting to find out exactly how the lenders will handle the changes and how exactly how it will affect you. Business For Business works because of our culture. Started in 2005 by Michael Watkins, Tony Joe & Clemens Rettich in Victoria BC, the group wanted regular business networking without what we saw as the ‘bowing and scraping’ in other business networking organizations: too many rules, too much emphasis on ritual, and heavy-handed sales tactics. We wanted an organization where the focus was on growing businesses by growing relationships and business knowledge. We wanted an organization that treated its members as professional adults. That’s our culture. The Business For Business ‘special sauce’ is members sharing and engaging at the weekly roundtable discussion. These are an opportunity to learn about other members and their businesses, their challenges, successes and secrets. We believe relationships built on trust and knowledge are the roots of successful networks and successful businesses. The meetings are fun, informative, and casual. There is a lot of laughter, and over-the-top value in the business tips everyone exchanges. As the leaders value is everything to us. Not only do we do everything we can to provide a ton of value to our members we keep prices far lower than other formal business networks. We currently have four business network groups in Duncan and Victoria with new groups starting up in Nanaimo, Sidney, and New Westminster. Our goal is to become an international network. We are always looking for leaders to start up new groups in their communities. As a real 21st century organization we also believe in the power of online tools for networking. We provide marketing support, an online internal chat network, a website for members, Facebook and LinkedIn accounts and so much more. For example members have the opportunity to meet with in a Google Hangout with other members from all of the groups and an experienced business advisor once a month. No charge. It’s just another benefit of membership. Our members are passionate about their businesses and about the success of other members. Stop networking and start building a network. We are always looking for business leaders in new communities to lead a Business For Business Networks local group. Interested? Drop us a line: info@bforbnetworks.com. At Business for Business Networks we are huge supporters of business blogging! We encourage our members to send links to their blogs, or if they don’t have one we are happy to post articles on their behalf on the Business for Business Networks website. Business owners wonder what specifically business blogging is. Business blogging is marketing to get more online visibility (essentially popping up more and more frequently on social media, search engines and driving traffic back to the main website). All the blog needs to be is a piece of short form content related to your business. It is important to realize that this isn’t and will never be a primary revenue source, it is marketing to support growth. Market visibility results because more website pages mean more chances to be found in search engines. Blogs create website pages but keep them in a neat section of your business’ website so it doesn’t get cluttered, keeping a user friendly experience. Every new blog article is a new opportunity to pop up in a search, and drive traffic back to your business. To help the traffic on your blog turn into leads have a call to action button (“buy now”, “subscribe” etc. links) at the bottom of your blog page. Good blogs create a sense of authority by answering common questions, and creating helpful content for their target audience. This generates authority and word of mouth as the articles get shared. Good word of mouth is everything! It also creates a sense of trust because people feel as if you’ve helped them before they ever actually bought anything or reached out to you. Blogs never expire, or go away unless you delete them so they can generate leads for years to come (70% of traffic generated is from older posts, not within the month). Blogs are also a great way to test the waters with ideas or campaigns before going whole hog with them. At Business For Business Networks we believe in the power of business blogging. Whether you are a veteran business blogger, dabbling, or just getting started, we encourage members to submit their articles and grow! Working with a client recently, he remarked at the end of a particularly powerful coaching session he was amazed to find how many of his ‘business’ issues were actually personal issues in disguise. I do not think this any accident. An amazing thing about our minds and the way we are in the world is how we do not compartmentalize nearly as much as we think. We may come in through the door at 5:30pm and ‘leave work behind’, however it is the same being that is now operating in a different environment. Can we really expect who you are ‘at work’ and ‘at home’ (or at the bank, the gym, the doctor’s office) to be so different? Superficially; at the level of content these can look very different: handling a direct-report regarding a work milestone or your son about cleaning their room. Coding or cooking dinner. Talking to your significant other or planning a business meeting. However how you are being in all of these situations is intimately related. At a fundamental level your mind does not distinguish; how you are here is how you are everywhere. So whether I am coaching someone to a milestone in building their business or supporting them in creating an action plan for them conquering a fitness goal – the conversation is fundamentally the same. If you are holding back or under-performing in one place, it is likely that the same patterns of thinking and behavior are surfacing in many other situations too. The great news is taking on those issues in one area and creating a breakthrough is not localized to just that area. Life cannot help it – you create a breakthrough here, you create a breakthrough EVERYWHERE. So to the core point – how do you know if you are facing a business issue or a personal issue? They are, I assert, ALL PERSONAL. Concentrating on the business at the expense of the personal does not work. Coaching the personal in the context of business does. So – how does this apply? If you or someone in your organization are getting stuck on business challenges; then working on process without focus on the personal may yield limited results, and the results that come may be unsustainable. Same person, new process – the person implementing the process will leave their indelible imprint on it. Conversely, you shift the person – this imprint will shift. It may have nothing to do with the process. You shift the person, you shift their results everywhere. If you call forward the creative engaged individual the organization gains by both shifting the immediate issue AND by accessing the fully engaged focus of an empowered human being. The results of that double-shift are both bottom-line and PRICELESS! Fork In The Road: The Right Choice For Your Spine? Imagine you are on a road trip, driving along in the middle of nowhere, when all of a sudden you come to a fork in the road. Assuming they both end up in the same place, which fork would you choose? As a chiropractor, it has been my experience that many people go through the same decision-making process with their choice of spinal care. The easy, little-money-up-front option may be appealing, but is it ultimately the best choice? The fact is, most back and neck pain is the direct result of years of neglect: disuse, misuse, abuse and no use. To undo these years of damage to the spine requires a lengthy commitment of hard work and, yes, money. Patients who wait for the pain to go away or choose quick “patch jobs” seldom get lasting relief. Ignoring or patching a spinal problem means the problem remains uncorrected, and these patients discover that as time goes by, their pain gets worse, lasts longer and occurs more frequently. Chronic pain and disability can result. Which fork in the road is right for you? Only you can decide.